Agile workplace designs have become the go-to solution for creating an environment that fosters optimal productivity. Comfortable employees are happy employees, and happy employees are productive employees. Right? Well, certainly it's fair to say that people who LIKE their workplace are likely to want to continue working there, and are likely to be more motivated to produce the results you need. So, agile design has proven to make sense for a lot of companies. Here are some of the essential things to think about when considering a transformation of your workplace into a modern agile workplace. 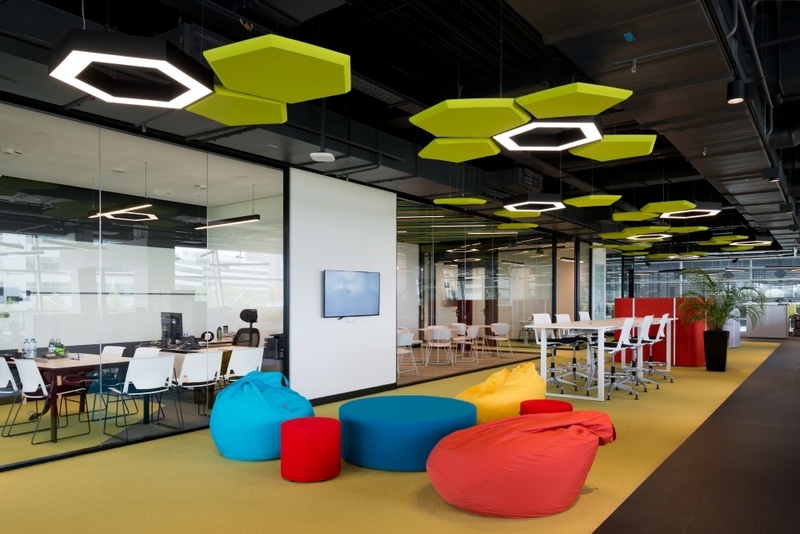 Agile workplaces are spaces designed for maximum flexibility. They empower employees to work how, where and when they choose, and give them all of the technology and tools they need. 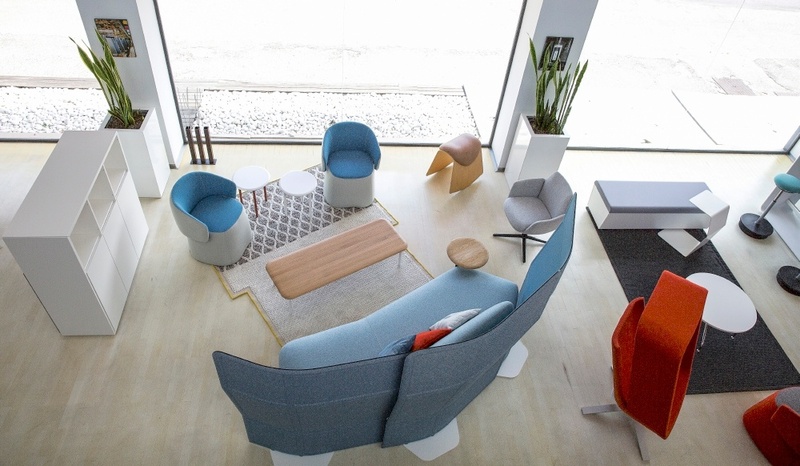 Agile workspace designs are not just about creating a cool new vibe for your workplace. The agile concept is about generating higher levels of output in quantity and quality of work. Employees in agile work environments are often not constrained by conventional 9-5 work schedules, and they may be free to work remotely. In agile workplaces, the majority of employees don’t have assigned desks, and some teams may be seated in designated clusters of workstations. Generally, workers are encouraged to choose whatever setting best suits the activity they're doing at any given time. Soft seating areas may be preferred for informal meetings, collaborative discussions, or just for taking breaks. Quiet spaces may be chosen for private study, and intensive focus on complex tasks and problems. Iso-stations may be used by staff passing through a work area, just for quick logins, schedule checking, last-minute review of meeting notes, etc. Lounge tables, or dining type tables may be used for team project work and small meetings. Small and large meeting rooms are used for more formal meetings. Seasonal covered and uncovered outdoor workspaces may be provided. Standing workstations may be available. Why is agile working so popular? Multiple business goals have driven the ever-growing global popularity of agile workplace designs. Corporate leaders have found that it's smart business to adopt new ways for workplaces to function that can positively impact staff retention, collaboration, creativity, productivity and general wellbeing. Optimizing use of space has also become a higher priority for companies striving to manage against rising lease rates, utilities and facilities maintenance costs. And, green-minded business leaders have an additional motivation for reducing space as a way to achieve reduced environmental impact while providing a satisfying experience for employees at the workplace. • An unprecedented amount of flexibility and individual freedom for employees. Workers have their choice of multiple locations and types of workstations to suit their current activities and preferences. • Cultivates a company culture that yields high levels of satisfaction in the employee experience. That means longer-term retention, reduced productivity loss, recruiting costs, training costs, administrative costs, revenue losses, quality loss, and other costs for employers. • Agile workspaces invite freer communications and collaboration. 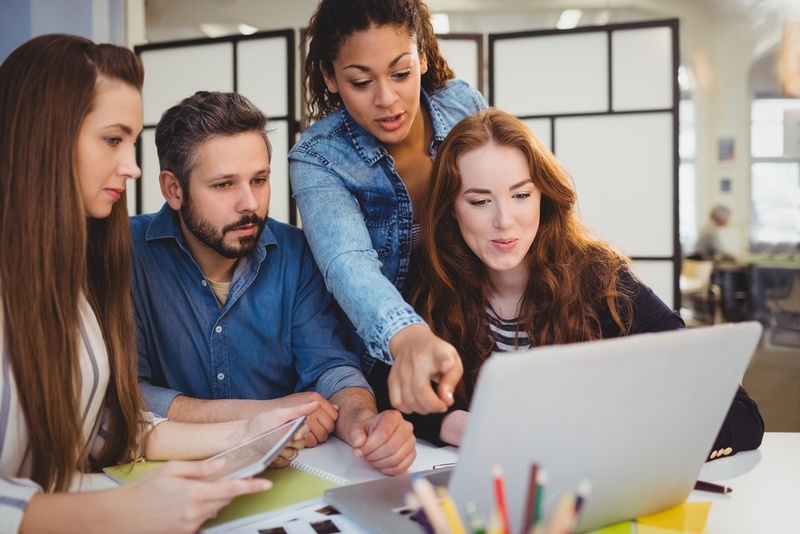 That openness can lead to a more cross-departmentally integrated culture, which promotes creative problem solving, higher productivity, and greater well-being for employees. • Employees feel empowered, valued and trusted with the freedom to manage themselves and their manner of working. • Employers with agile workplaces may find it easier to recruit top talent. • Often, agile workplace designs require less square footage than more traditional layouts, which means reduced leasing costs, utilities costs and facilities maintenance and cleaning costs. Who does agile work best for? The agile approach to workspace configuration is ideal for companies in which the emphasis is on outcomes instead of attendance. Agile is oriented to optimal employee convenience and comfort, to encourage optimum performance. Especially in companies that benefit from collaboration between employees within and across departments, agile offers a good solution. For those looking to build an inclusive culture, or that want to throw off traditional constraints on workers, like designated locations, hours, and seating arrangements, etc. to promote maximal performance, agile is ideal. 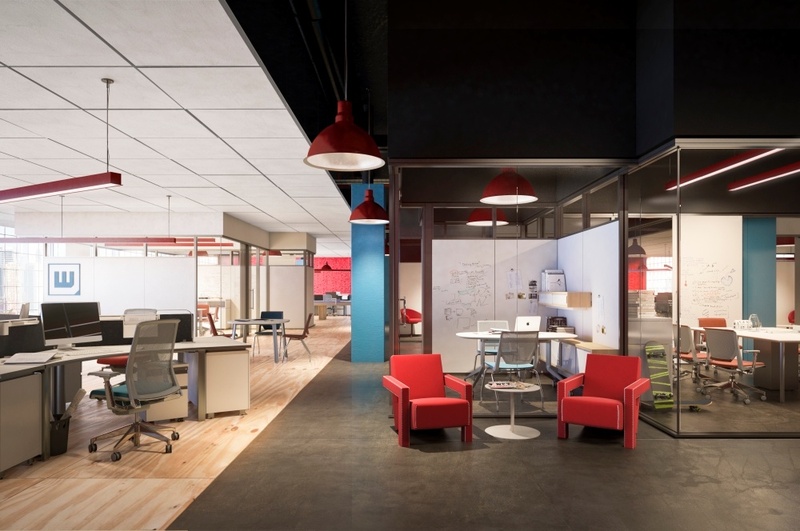 What are the challenges of agile workspace conversion? Most companies can't just flip a switch and convert to an agile work mode. Conversion involves a company-wide mindset change that can take some time to instill. Transforming a company's culture from traditional to agile, will prove more difficult for some businesses than others. Any successful conversion to agile starts with getting buy-in from staff. Bring the team along in creating and implementing the plan. Keep in mind that agile working is not a universal or cookie-cutter concept. Office configurations and styles and employees' ways of using the available spaces will vary from one workplace to the next. Remember to manage the change proactively. Using a consultative approach can be the difference between a smooth, happy transition and a chaotic, confused adjustment period. Agile office design involves adopting lots of freedom and flexibility. That can seem like a tall order for an office designer. And, it is. How do I get started on conversion to an agile workspace? Getting started on any office design project starts with discussing the plan with your staff and bringing them on-board for the journey. Obtain input from all team members, so that their ideas can be considered and potentially incorporated. Use one-on-one discussions, team meetings, and even focus groups to collect ideas and suggestions from staff. A variety of workstation settings. Areas that increase the likelihood of casual encounters and conversations. Spaces for quiet concentration, collaboration, and formal meetings. An atmosphere that promotes flexibility. Creating an agile office requires much more than simply transforming your physical space. 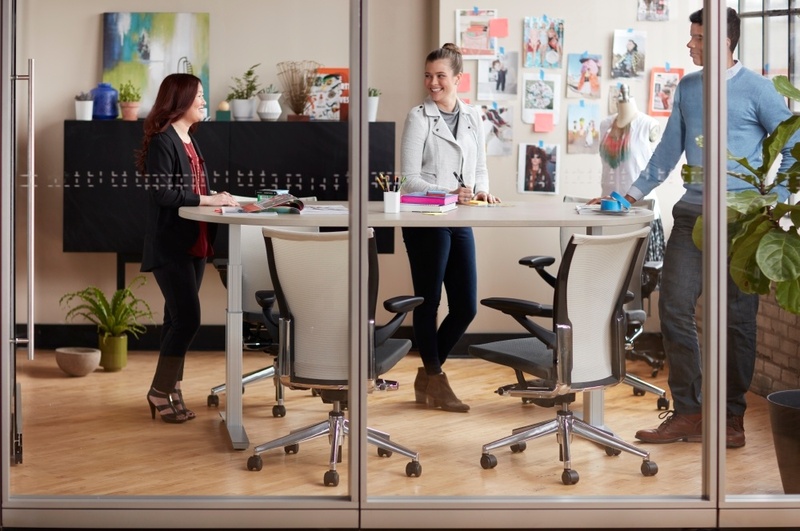 The change requires a shift in organizational thinking that doesn't just "magically happen" once you buy new office furniture. That said, I don't believe it's possible to adopt an agile mindset and be successful WITHOUT changing your space. When it comes to making the leap to agile working, start with asking WHY, follow up with asking WHO and HOW. If you answer those questions first, the process of designing your WHERE will be infinitely easier.